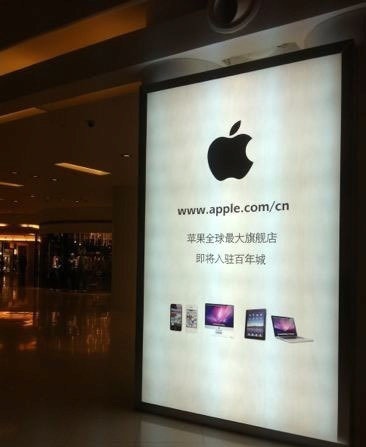 According to some advertisement boards spotted in Parkland Mall (via M.I.C Gadget), which is situated in the main Century City shopping district of Dalian, China, it appears that Apple is looking to build its largest retail store in the world at this location. The ad (shown below) translates as “Apple’s World’s Biggest Flagship Store will be coming soon”. 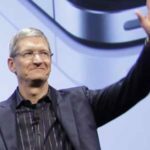 The report claims that large Apple barricades have already appeared outside the mall suggesting that initial stages of construction are already underway. Interestingly, a security team was sent by the rival shopping mall, Dalian Department Store, to bring down the Apple Store banners because the construction barricades were encroaching too far onto the mall.